Spring has finally arrived to Luzern. Yesterday, my boyfriend and I took advantage of warm sunny weather and went for a walk around the lovely Tribschen quarter. This quiet neighbourhood is located on the banks of Lake Lucerne (Vierwaldstättersee) and offers some of the most gorgeous spots in Luzern for a stroll. One of the sights not to be missed in Tribschen is a lovely manor with stunning views over Lake Lucerne and the Swiss Alps, which used to be a home of the German composer Richard Wagner for six years, from March 1866 to April 1872. At this inspiring place he created some of his works, for instance “Emperor March”, the third act of Siegfried, Siegfried Idyll et others. Nowadays, Richard Wagner’s former residence has been transformed into museum devoted to the composer. The exhibition on his life and work can be viewed on the ground floor of the manor. On this occasion, we didn’t visit the museum. Instead we just strolled around the lovely park that surrounds the manor and enjoyed the beautiful scenery. 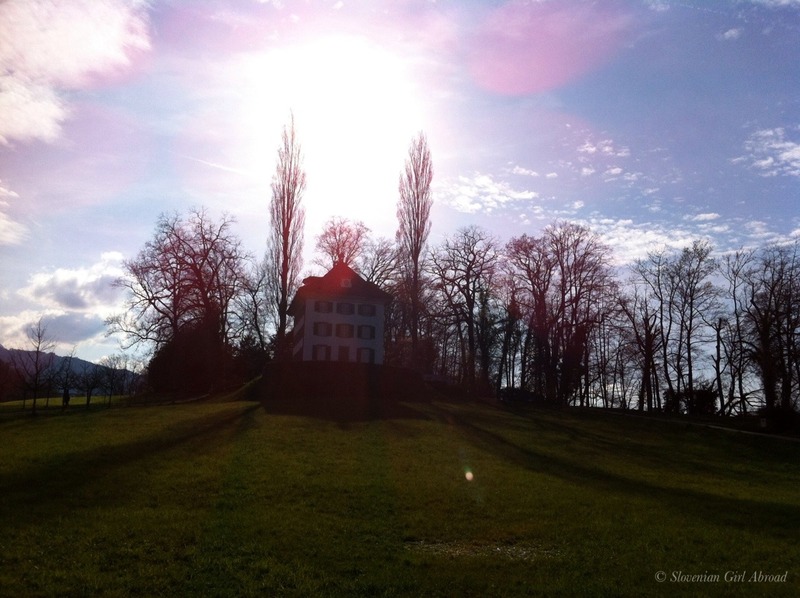 Triebschen is a truly gorgeous area of Luzern. 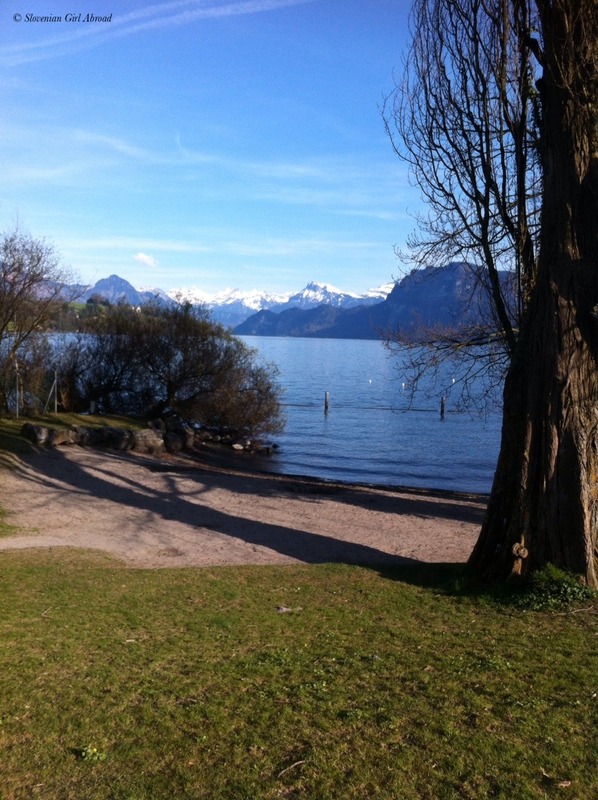 It’s scenic, peaceful and conveniently close to Luzern’s train station and the old town. Don’t miss it when in Luzern! Gorgeous views! I was in Luzern about 9 years ago and it was freezing! Absolutely loved our time on Luzern! Your photos really take me back to that wonderful place.